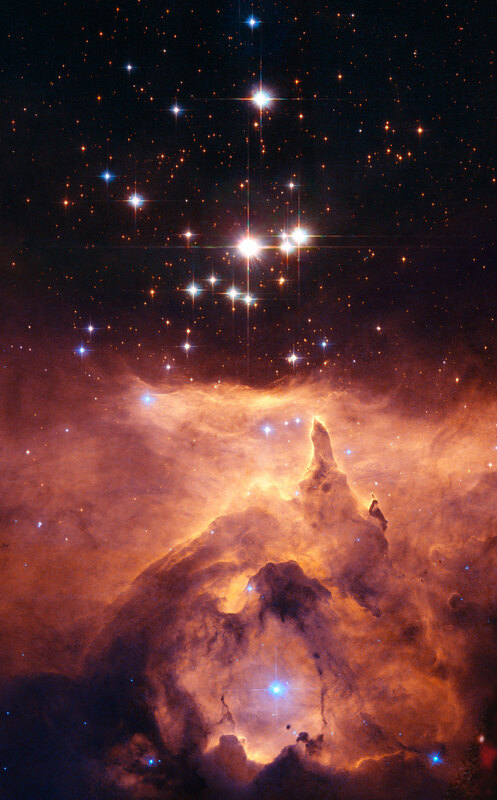 This NASA image (Credit: NASA, ESA and J. M. Apellániz) shows some very massive stars (about 100 solar masses) in the open cluster Pismis 24. Toward the bottom of the image, stars are still forming in the associated emission nebula NGC 6357. If you came here to look for cosmic evolution in general, you might want to take a look at this site about cosmic evolution from the Wright Center for Science Education. Eric Chaisson has also written many articles and books on this topic.